and their kids Georgie and Louise? Well, I went to check up on my new neighbors. I even brought a tall ladder with me, so I could get a good look in the nest. And this is what I found…. Aaagh! Why is it empty? They never said good-bye! It’s a good neighborhood, really. I didn’t mean to be so nosey the first time we met. I was just trying to get to know them. I did a little research to see if there could be an explanation. 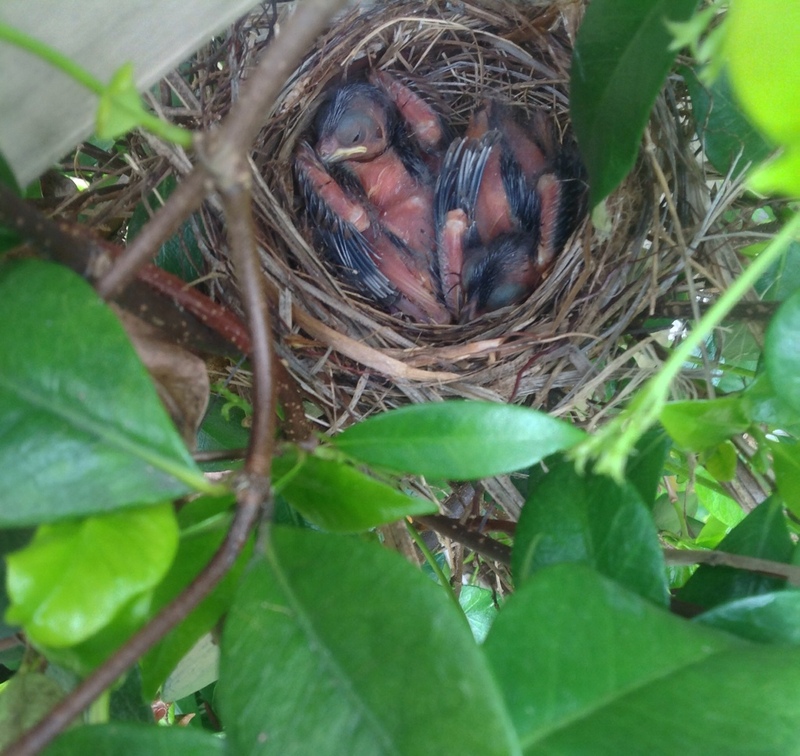 The babies do leave the nest at about 12 days, but I really don’t think that they were that old. They didn’t even have their feathers yet. Just like typical teenagers, running off without their licenses. Then yesterday, when Superman and I were doing some yard work, we watched three blackbirds dive-bomb a hawk. It happened a couple of times. I’m sure the hawk was getting a little bit too close to the blackbirds’ babies. Did the hawk get Georgie and Louise? I guess I’ll never know. I just wish Helen had left a note or something. I’m so sad. 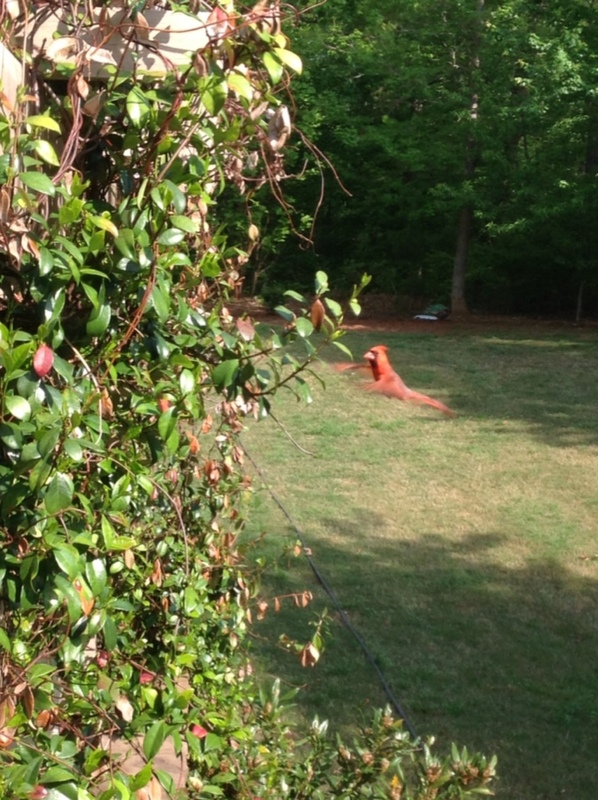 Well, I’m certainly going to be keeping my eyes open, maybe I’ll get a glimpse of the cardinal family flying around. 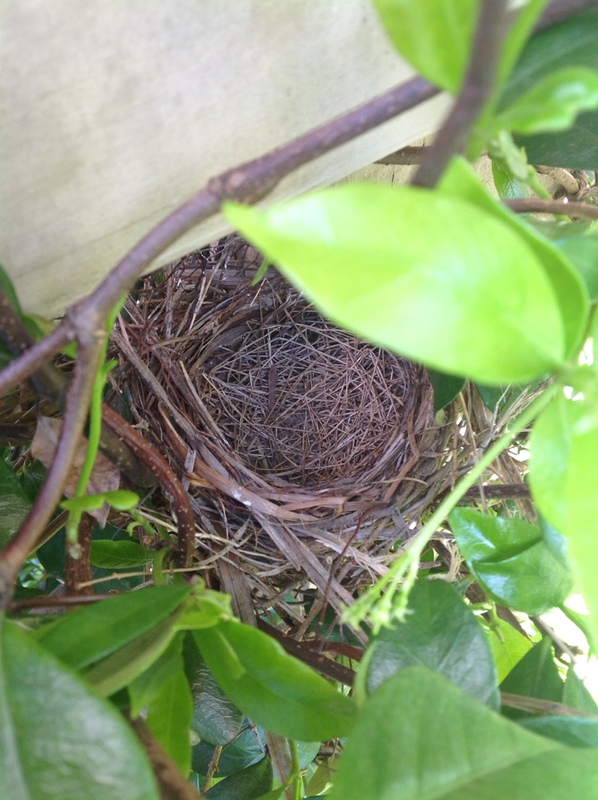 Posted on May 4, 2014 by mary •	This entry was posted in Home and tagged birds, empty nest. Bookmark the permalink.